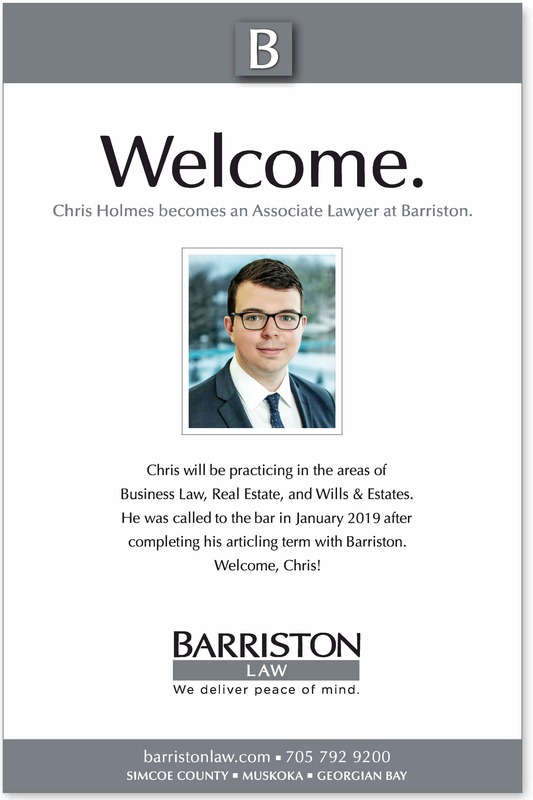 Barriston would like to welcome Chris Holmes, Associate to our firm! Barriston was proud to support Hospice Simcoe at the annual Hospice from the Heart Gala. Barriston would like to welcome Scott McEachran, Counsel to our Bracebridge office! Barriston was proud to deliver 103 pairs of pyjamas and $1000 to Simcoe Muskoka Family Connexions this year. Our pyjama project grows yearly thanks to the generosity of our staff! We are hiring! Find out how you can Join Our Team!